View this article on the artist’s site here. Throughout her career, JaN has served others as a cunning musical druid, the silent partner of many notables: the Thompson Twins, Rock and Roll Hall of Famer Darlene Love, from the pop of Steps to the jazz of Chico Freeman, and most famously, Cyndi Lauper, all talented vocalists and charismatic front men comfortable in the spotlight. And like King Arthur, they receive the credit and the accolades while their musical Merlin casts the spells behind the scenes. At the same time, her music is heard on TV stations all over the world, from MTV to BBC, Oprah Winfrey to Jerry Springer (!) and in independent movies and on line videos. Through perseverance, hard work, and dedication to her craft, JaN embarked on a successful career writing music for film and TV. Her early CDs of electronica are now collector’s items and her music won awards at the New York Film Festival. She also wrote the U.K.’s prestigious Song for Europe and played on countless sessions in the blossoming electronic London studio scene of the 80s. Eventually, JaN hit the road as the keyboard player for the Thompson Twins. Other established musicians took notice of JaN’s unique keyboard stylizations, and the demand for her talents grew. She moved to the United States and, in 1993, joined the tour band in support of Cyndi Lauper’s Hat Full of Stars. During the tour, JaN shared with Cyndi her insight into the Arthurian Legend. They started writing new music, injecting their shared view of feminism and sisterhood as a creative power and exploring the various betrayals of that power in modern society. 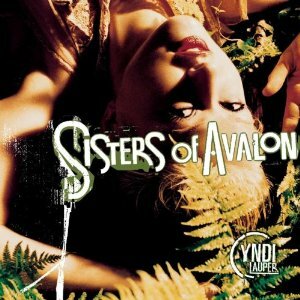 The result was Sisters of Avalon, Lauper’s sixth studio album. JaN not only provided keyboards and loops, but recorded, engineered, and mixed the final product (and afterward served as musical tour director on the road). A Christmas album followed, and their final co-creations were released as part of Lauper’s 2002’s Shine. Their partnership spawned twenty co-written songs between 1993 and 2001, and is arguably Lauper’s most artistic and critically acclaimed work. 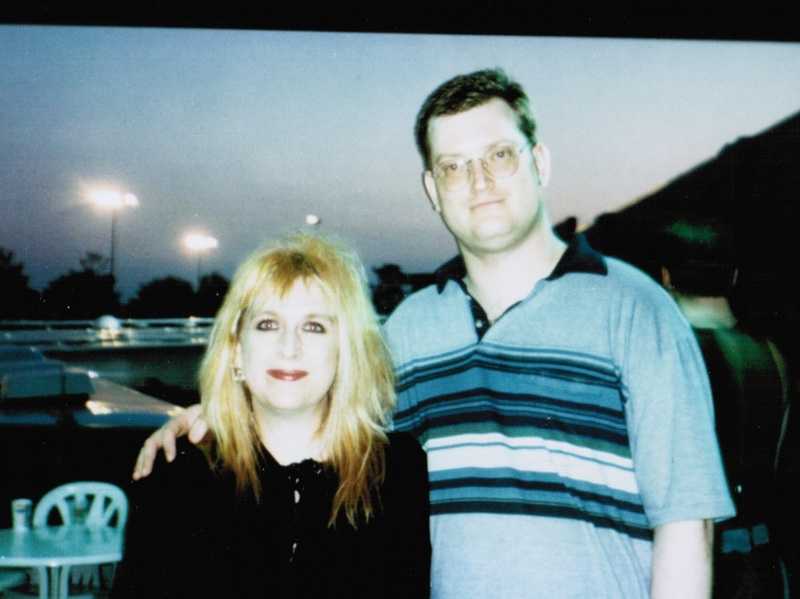 At the same time, the internet sprang into the public domain, and JaN started her own Independent CD record label, Collecting Dust Recordings, to release music recorded by her production company under her alter ego “Madame la Pulse.” At English Valley Music Studio in the woods of Tennessee, JaN recorded, engineered, and released efforts for a host of talented musicians, including the late David Schnaufer, Kat Dyson, Felicia Collins, Sir Jam and Nigel Pulsford, her brother and lead guitarist from the rock band Bush. Most of the original ideas for Sisters of Avalon were recorded in this studio. JaN PuLSfoRD, aTHeNa BLue, JaNa KYoMooN—the musical magician vanishes, changes, conjures new personas, creates new moods, evokes new aural landscapes. 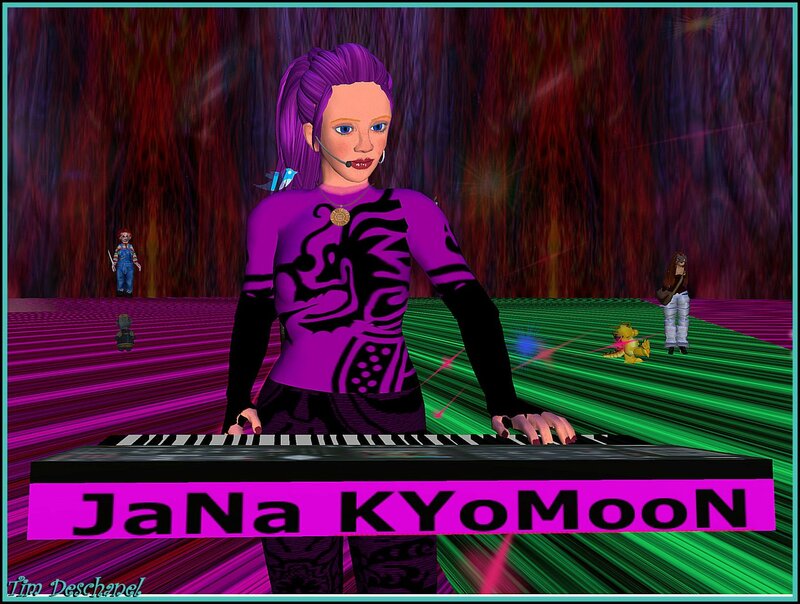 On SL, JaN can finally create the proper otherworldly venue to accompany her musical spells. Where congregating avatars have the floor drop out from under them (no worries; avatars float), where colors swirl and pulse to the beat, where the paintings move across the wall. Not to mention the big purple disco ball. Even magicians have to accessorize! 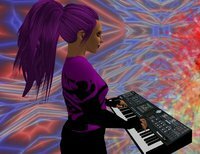 aMBieNT ReFLeCTioNS oF JaNa KYoMooN is her third collection of Second Life compositions to be released commercially, and JaN’s first release through the D-Pulse Ovrtone label. About D-Pulse, JaN enthused, “I worked with DPulse on a few remixes and live shows with my aTHeNa BLue project. I have always admired their commitment to electronic music and I am so delighted to have them involved!” Ambient Reflection of JaNa KYoMooN is available in CD or download at all major online music sites. As the title suggests, JaNa is casting her calming spells, weaving otherworldly tones of blues and jazz to draw you inward and help you escape to happier places. If this is the first time you’ve surrendered yourself to the musical magician’s spell, you’ll be pleased to know she has a huge “spellbook” in her back catalog—from dance electronica to soothing lullabies and everything in between. This entry was posted in Cyndi Lauper, electronica, Jan Pulsford, Jana Kyomoon, Meditative, Music publicity, New Music, Second Life and tagged Cyndi Lauper, King Arthur, Music, Rock and Roll Hall of Fame. Bookmark the permalink.